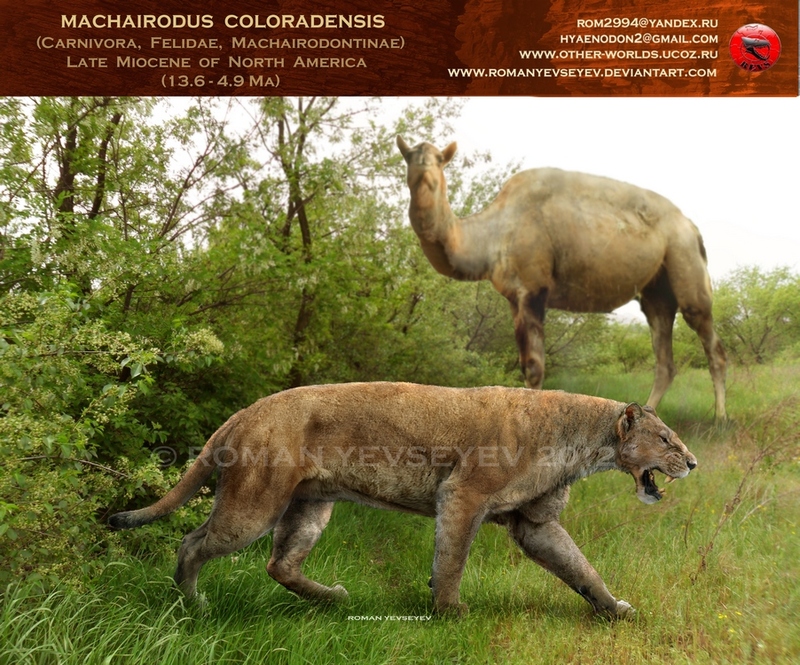 One of the first saber-toothed cats to walk the planet, Machairodus lived approximately 10 million to 10,000 years ago – from the Late Miocene Period through the Modern Period. It was first discovered during the early 19th century and was given its name by Johann Jakob Kaup in 1833. Its name means “dagger tooth” in Greek. 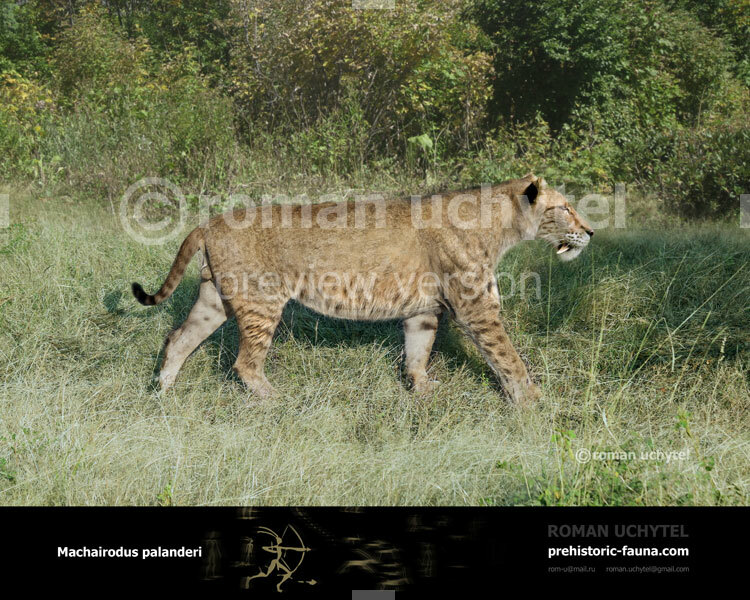 Judging just from Machairodus pictures, you can tell that this cat had short legs and as a result, probably couldn’t run very fast. 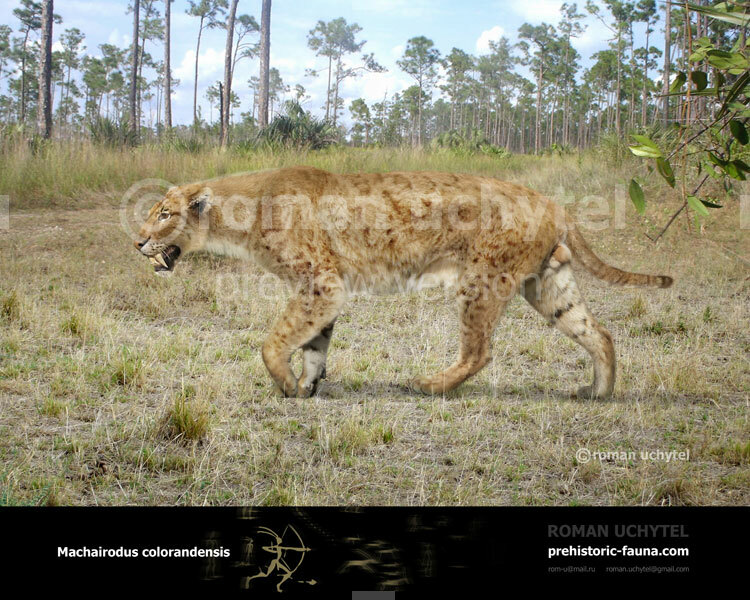 However, you can also tell from drawings that this saber-toothed cat also had some very ferocious looking teeth. Its teeth were about 12 inches long. And its teeth had one purpose – slicing through flesh. 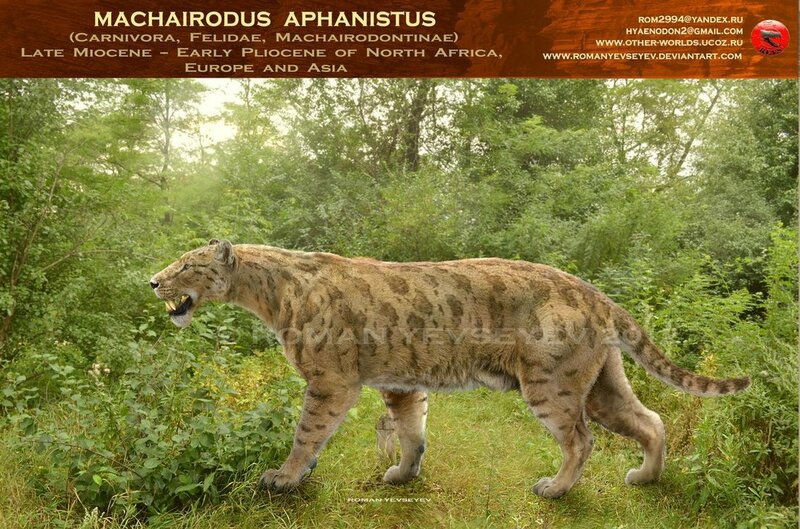 One of the most fascinating facts about Machairodus is that it was about 3 feet tall. 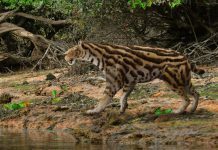 It was also about 5 feet long and weighed around 200 pounds. 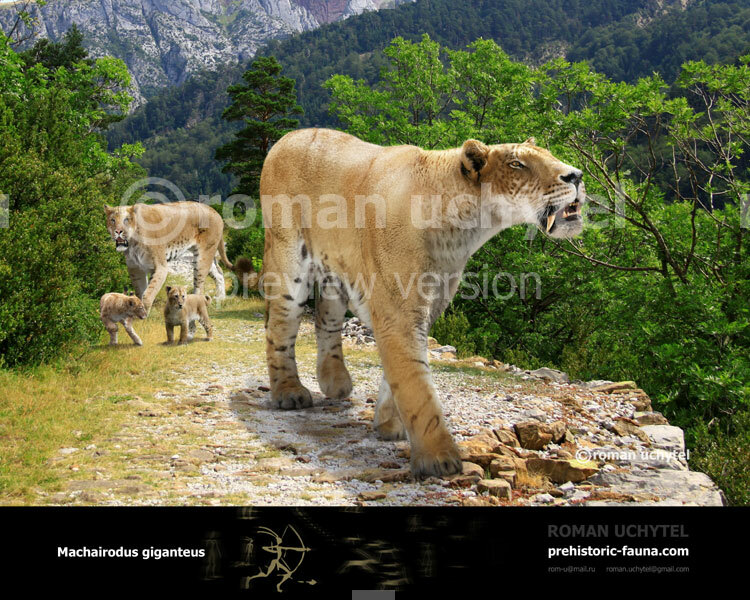 That means that it was about the size of a lion. 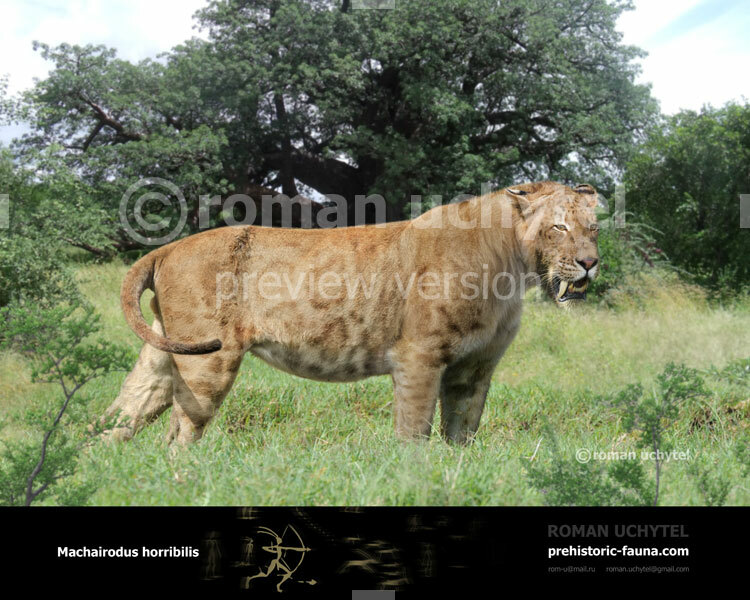 As such, it may have also had the hunting habits of modern lions. Which means that it may have hunted in feline pairs with its mate. 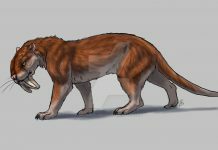 However, it is also quite possible that it hunted in packs. 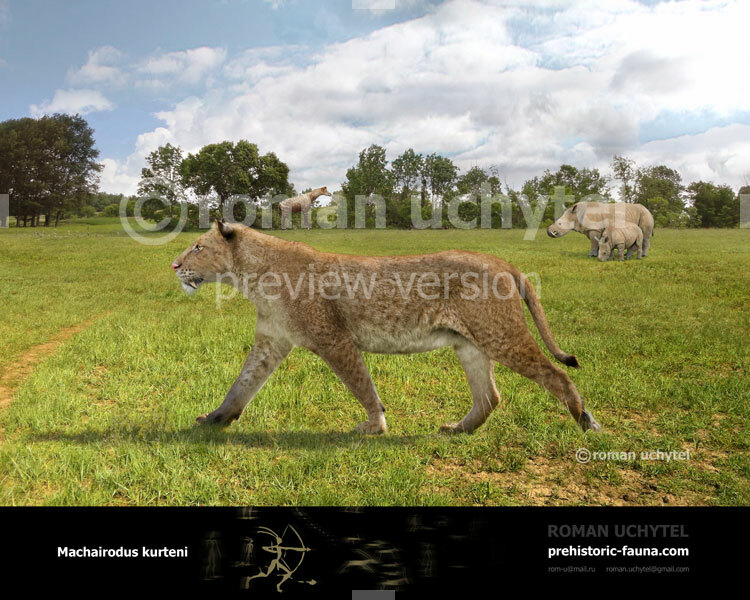 This would have been an advantageous way to take down large prey. 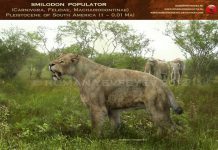 Since it lived all over Africa, Eurasia and North America – this animal would have a variety of different prey to hunt, depending on where it lived. 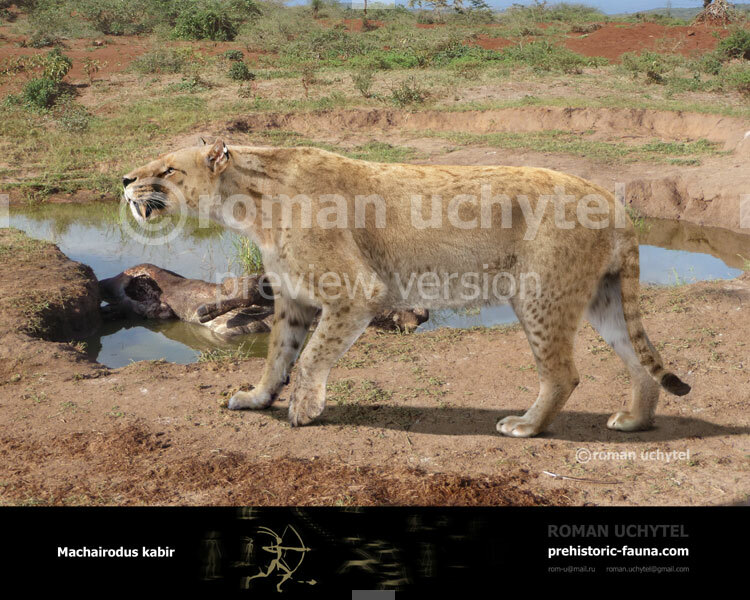 For instance, in Africa, it would have had medium-sized game like antelopes and zebras to hunt. 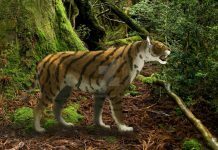 In Eurasia, it may have hunted Irish Elk and maybe Stegodon. 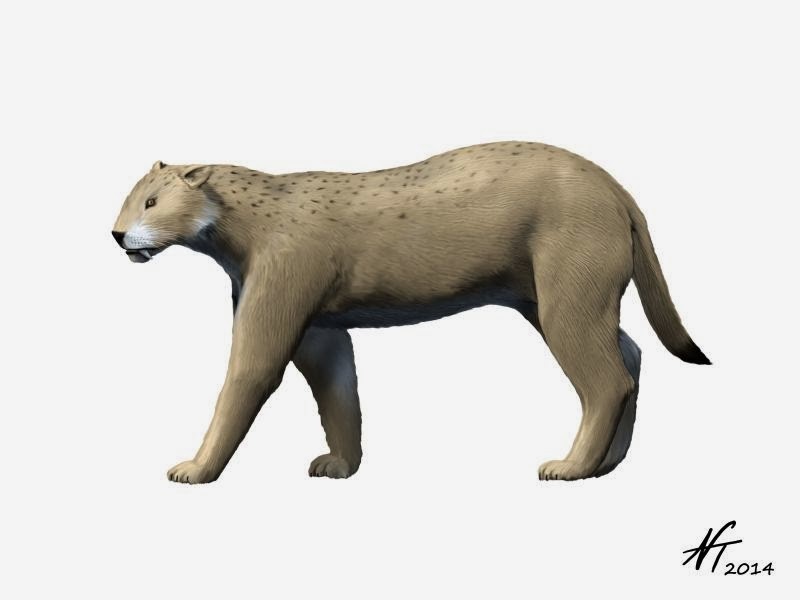 In North America, it may have hunted Castoroides (giant beavers) and Woolly Mammoths. 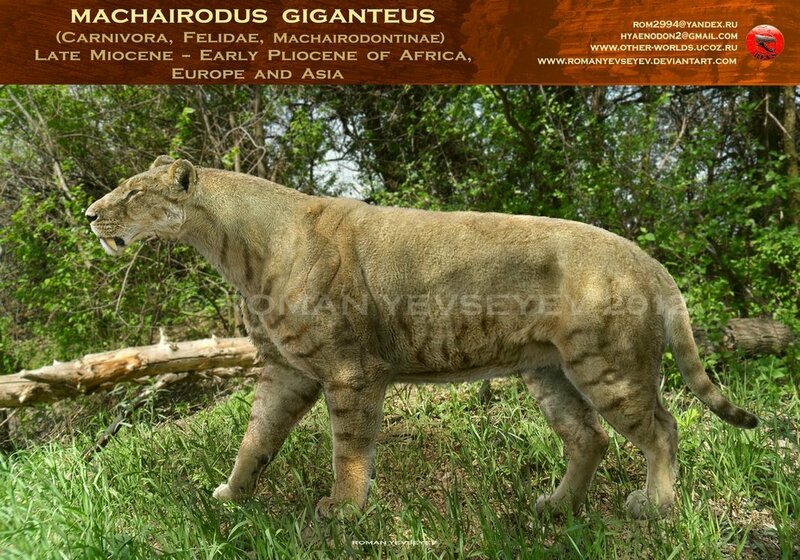 Quite a bit is known about Machairodus, but what isn’t quite as well understood is how these large cats became extinct. 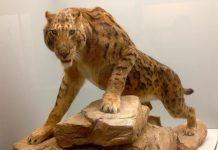 Some paleontologists believe that a combination of climate change and human hunting killed off much of their prey, which in turn led to their extinction. 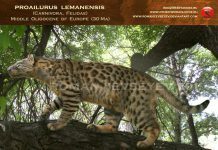 However, more fossils are going to have to be unearthed to determine if that is the case or not.